Learn more about the journey here, follow Madaleine and Mary and donate on their fundraiser page, and look for updates on AAC’s Facebook. We're hopeful that Madaleine and Mary's incredible efforts to come on these climbs will kick off a positive beginning for a fund dedicated to helping climbers through dark times. We're sending hugs to all the moms out there who have encouraged and supported us, whether that's meant putting up topropes, helping us identify birds at the crag, looking at our photos when we return, or— in the case of AAC Member Ammi Midstokke and her daughter Beverly— taking us on wild and formative adventures. Read about Ammi and "B"s climbs and explorations here, and keep an eye out for more from this dynamic duo in the 2018 Guidebook to Membership. Thank you to all the strong mothers in this community. We're grateful for you! Take Our Annual Survey, Win $500 to Backcountry.com! Calling all climbers and outdoor enthusiasts: give us your beta?! We want to know who you are, what you stand for, and how the Club can better support you, as a climber. Take this short annual survey for a chance to win a $500 gift card from backcountry.com. Thank you! 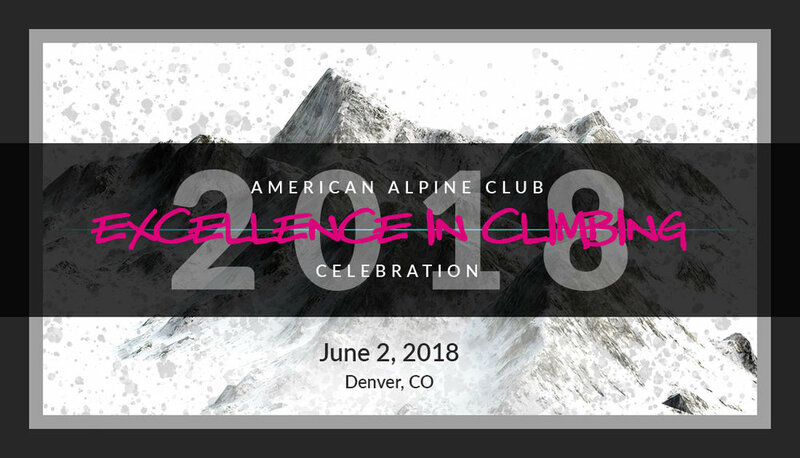 Tickets to our Excellence In Climbing Celebration are on sale now! 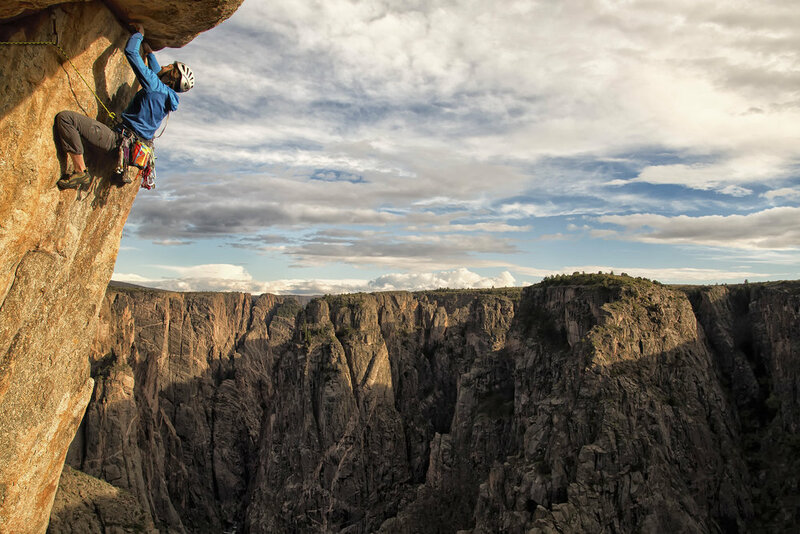 Raise a glass with us in celebration of climbers who give back. Dine, drink, and dance as we recognize those who better their communities. This will be the 3rd Annual Excellence in Climbing Celebration, and undoubtedly the best one yet! Come peruse silent auction items ranging from gear to art to trips. Grab a tasty cocktail while you try your hand at the wine ring toss. After sampling the variety of delicious foods, the program will begin. The highlight will undoubtedly be inducting the 2018 Hall of Mountaineering recipients. Past inductees into this esteemed hall include Libby Sauter, Tom Frost, Yvon Chouinard, Geoff Tabin, and more. Also presented at this year's event will be the esteemed Ad Carter Literary Award, recognizing excellence in climbing literature. 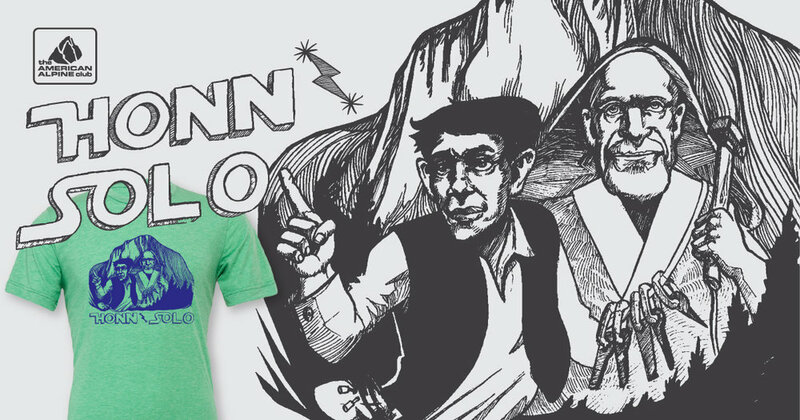 Back due to high demand: The AAC's Excellent Dance Party featuring Colorado's own 80's cover band—The Goonies! Last year's after party was off the hook with glow sticks, inflatable guitars, and dance moves so spicy they left people begging for more. This is one party you do not want to miss! Last year's event sold out, so be sure to get your ticket here before they're gone. Some of the climbing representatives display their power after a successful day on Capitol Hill. From left to right are Sasha DiGiulian, Caroline Gleich, Libby Sauter, Quinn Brett and Katie Boue. Photo: Derek Franz. 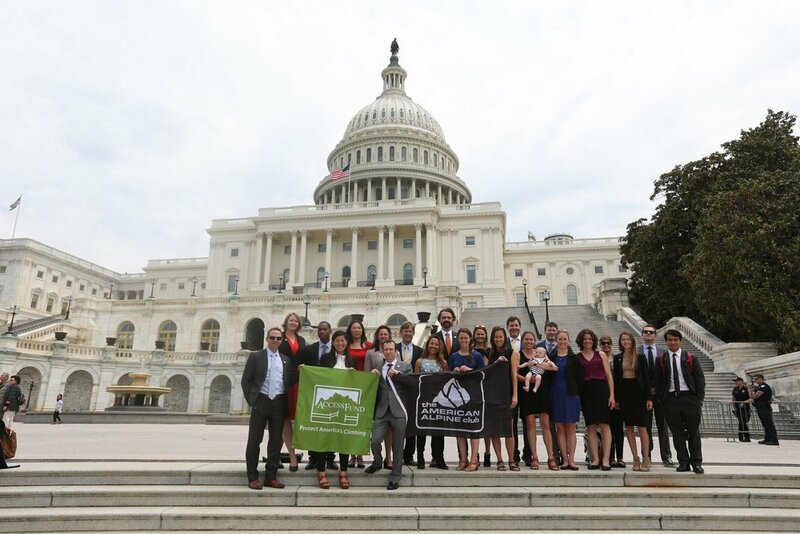 We're teaming up with Access Fund to tackle our next challenging ascent: Washington, DC’s Capitol Hill. On May 9-11th, we'll kick off the annual effort by meeting with law and policy makers and to advocate for public lands, outdoor recreation, and improved climbing management— and we'll bring an elite team of professional climbers, outdoor industry leaders, and grassroots partners to help. Together, we'll advocate for balanced land management policy, with a focus on the Land Water Conservation Fund and Antiquities Act. Both organizations plan to pursue legislative and administrative efforts to increase access to public lands, defend environmental protections and pursue balanced energy policies on public lands. To learn more, check out the Climb the Hill website and our press release. Stay tuned for more info on how you can get involved! Our hearts are heavy with the news that Savannah Buik passed away in a climbing accident yesterday. Savannah was our charismatic Chicago Chapter leader, spent last summer interning with us here in Golden, and just graduated with her BS in Mathematics. "I divert to climbing to help me experience ALL emotions: happiness, anger, frustration, sadness, excitement... the emotions combine to make me feel whole again. Climbing is my way of feeling." Savannah was an inspiration in our community, and we miss her laugh ringing through the office and local crags. We continue to be inspired by her positive spirit. *UPDATE: Savannah’s family has started the Savannah Buik Memorial Fund, which enables you to make a gift to the Club in her honor. Donate through the drop-down menu here. Thank you! Calling all photographers! We're teaming up with Rab to feature your work in our annual Guidebook to Membership. 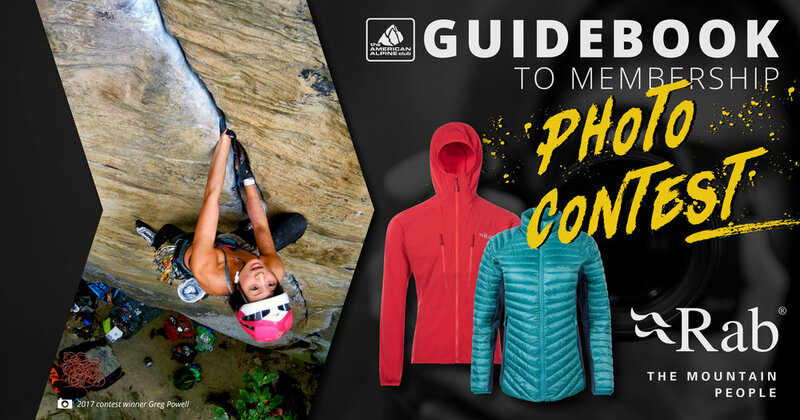 Not only could you see your photo next to names like Keith Ladzinski and Andrew Burr in the 2018 Guidebook, but a couple lucky winners, drawn from submissions at random, will receive spring jackets from Rab! So start scrolling back through photos from your year—your sends, your flails, your campfires, your bivvies. Learn the contest rules and details, then send us those photos. Deadline is April 10th. We can't wait to see your shots! 2017 Research Grant Recipient Rachael Mallon collects a sample on the Gerdine Glacier while studying the biogeography of snow algae communities. We're proud to announce the recipients of the 2018 Research Grants, powered by the Alliance for Sustainable Energy (NREL) and supported by Icebreaker, Kavu, the Henry Gholz Memorial Fund, and the following endowments: Lara-Karena Bitenieks Kellogg Memorial Fund, Scott Fischer Memorial Fund, Arthur K. Gilkey Memorial Fund and the Bedayn Research Fund. The AAC Research Grants program supports scientific endeavors in mountain environments around the world. Grant recipients’ research reflects AAC’s mission “to support our shared passion for climbing and respect for the places we climb” by contributing valuable information to our understanding of the world’s mountain ecosystems. Each grant recipient becomes an AAC Researcher, sharing their experiences, lessons learned, and findings with fellow climbers and the research community. Check out our press release to see this year's Researcher's projects and learn more about the Grants here. Researchers: we can't wait to see what you discover! Photo: climber Margaret Griffin, in camp and on Mount Baker, ca. 1920. Women are sending the hardest routes out there and putting up first ascents worldwide. We couldn't be more excited to celebrate these feats this month and see where women lead the climbing community next! Check out our Women Mountaineers exhibit, created in partnership with the Mazamas and Colorado Mountain Club Libraries, and our Women in Climbing Timeline. If you're in Colorado's Front Range, join us at the Women's HERstory Month gathering the evening of March 28th at our headquarters in Golden. Here's to the ladies who strengthen our community! 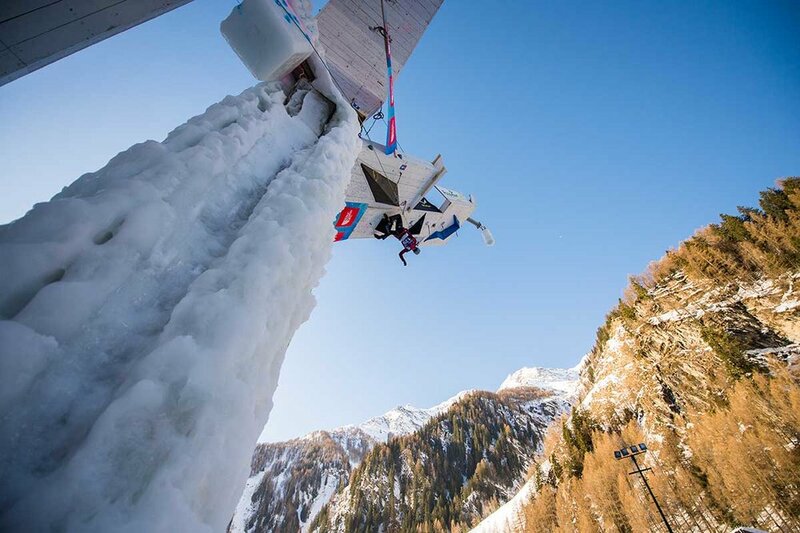 The 2018 North American Ice Climbing Championships will take place March 16-17 in Fenton, Michigan. The Championships are open to all athletes with experience in ice climbing or drytooling. Previous competition experience is not required. Spectator entrance is free. Interested in joining the fun? Learn the details. Looking to spark a belaytionship? We're here to help. Just print, cut, and share! Happy Valenclimbs from all of us at the AAC.